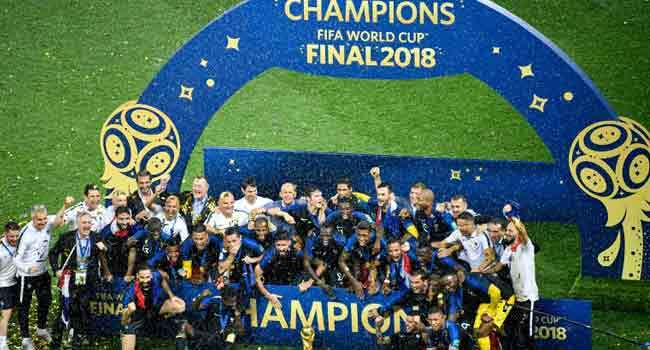 The breathless 4-2 victory under stormy skies at Moscow’s Luzhniki Stadium means Didier Deshchamps’ side — balancing youthful vitality and tournament nous — have buried the pain of their defeat in the Euro 2016 final on home soil. 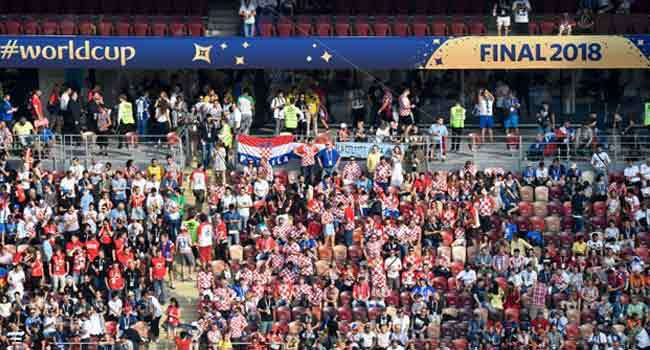 For the small nation of Croatia, the loss spells bitter pain but fans at home will celebrate the best run in the nation’s history, which featured a stunning win against Argentina and a semi-final victory against England. As thunder rolled around the stadium, Griezmann lined up the penalty, holding the ball under his arm. Crotia goalkeeper Subasic did his best to put the French striker off but he held his nerve to lash the spot-kick into the net. 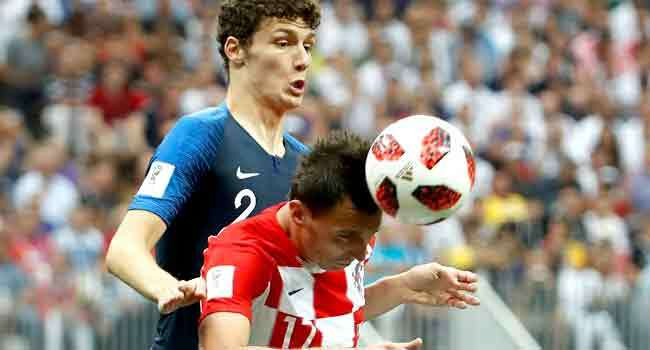 Croatia were first out after half-time and again were into their stride quickly, with the brilliant Luka Modric pulling the strings in midfield as roars of “Croatia” echoed round the stadium. 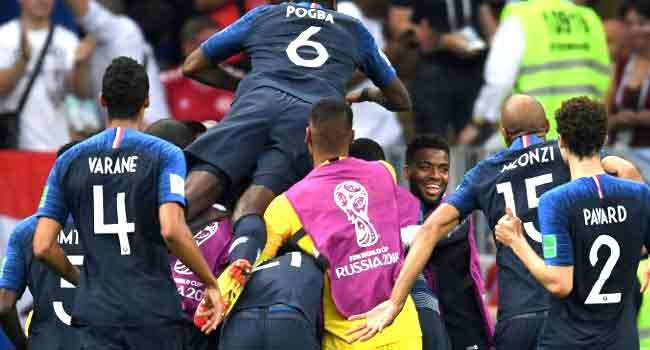 But Manchester United’s Paul Pogba extended France’s lead within a quarter of an hour, stroking the ball home — sparking scenes of joy behind the goal from French fans, who knew their country had one hand on the trophy. Kylian Mbappe appeared to make sure just just minutes later. But Croatia were given renewed hope when Mandzukic made the most of a mistake by France goalkeeper Hugo Lloris. 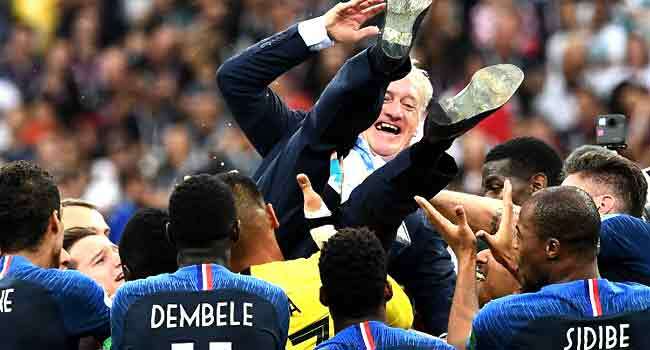 France, strongly fancied to win the final, started their tournament in France slowly, beating Australia and Peru by the odd goal before a goalless stalemate with Denmark saw them top the group. But they moved up through the gears in the knockout stages, seeing off Lionel Messi’s Argentina in a seven-goal thriller before cruising to a 2-0 win against Uruguay and seeing off Belgium 1-0 in the semi-final. 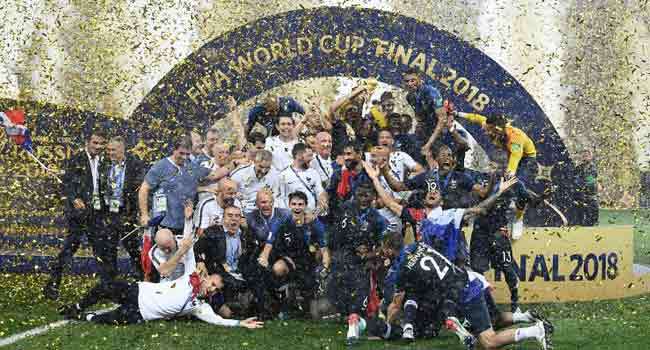 Giant screens were erected in scores of fan zones across the country under exceptionally tight security, with the biggest gathering of all expected in Paris, where 90,000 will converge on a fanzone next to the Eiffel Tower.